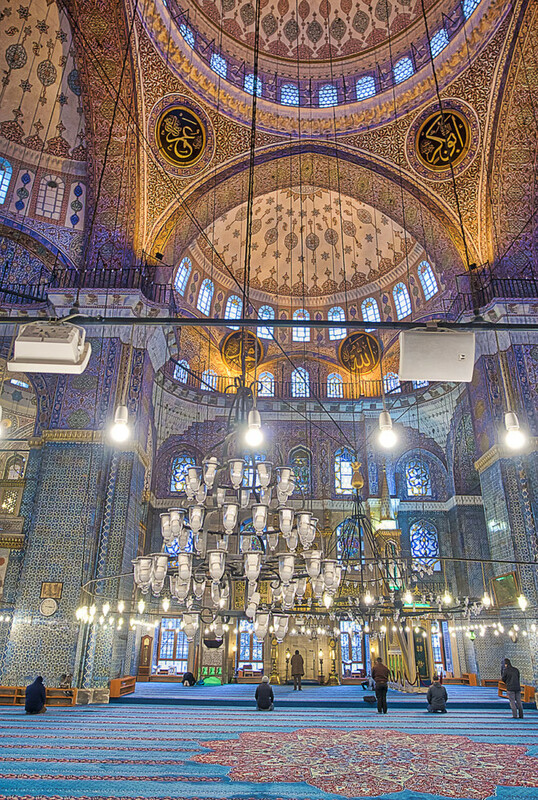 Beneath the artful mosaics and the beautiful lightings, all mosques I have seen are carpeted. These are enormous carpets; there must have been endless hours of knotting for manufacture. It gives a good feel, to walk on those carpets, warm and pleasant. One of the many fascinating things, you see in a mosque.